Simon heads the Clinical Negligence Team, which specialises in claims for patients injured during the course of their medical or dental care. "I have posted the letter to you saying that I accept the offer. I am quite bowled over by this as you can imagine and can only send all my thanks for your expertise and hard work. The biggest lift this has given me, is that if I feel I need to stop struggling to carry on working and driving I now have choices, so thank you again. It was a good day that I was recommended to approach you"
“Head of department Simon Elliman oversees an array of complex claims, including cerebral palsy and spinal injury matters. In addition he acts on dental negligence cases. Sources say: ‘He is very able and he inspires confidence through calmness.” (source: Chambers & Partners UK 2016). Simon has particular expertise in birth injury and cerebral palsy cases and also ‘wrongful birth’ cases, recovering multi-million awards of damages in several cases in recent years. 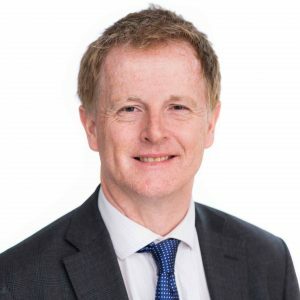 Simon is also very experienced in dental negligence work, and has dealt with a high number of such cases, concluding some excellent settlements for clients. Simon obtained first class honours in his first Law degree at Southampton University and also has a Masters degree in Medical Law and Ethics, graduating with Distinction.